Eno, Cyprus Cafe and the Ore House, are participating in the Colorado Dine Out to End Childhood Hunger campaign on Thursday by donating 10 percent of their proceeds to Share Our Strength’s nutrition and education program, Cooking Matters Colorado. Do you know where or when you’ll get your next meal? For some, the question may be one that has more to do with planning and family consensus than financial concerns. But for others, the question of food security looms large over their daily lives. And many people facing hunger are children. According to the nonprofit Hunger Free Colorado, 1 in 6 children in the state experience food insecurity – or the condition of “not (having) consistent access to nutritious food.” In La Plata County, nearly 18 percent of minors reside in food-insecure households, as indicated from data compiled by the U.S. Census Bureau and the nonprofit Feeding America. To help combat problems, the organization Share Our Strength is sponsoring the Colorado Dine Out to End Childhood Hunger campaign on Thursday, in which participating restaurants and retailers will donate a percentage of their proceeds to the group’s nutrition and education program, Cooking Matters Colorado. While Share Our Strength works statewide to “assist families with access to federal nutrition programs via referral,” the group’s primary efforts go toward “nutrition and food skills education and awareness and advocacy,” said Colorado Director Kelleen Zubick. Cooking Matters Colorado is the nutrition and food-skills education program of Share Our Strength. 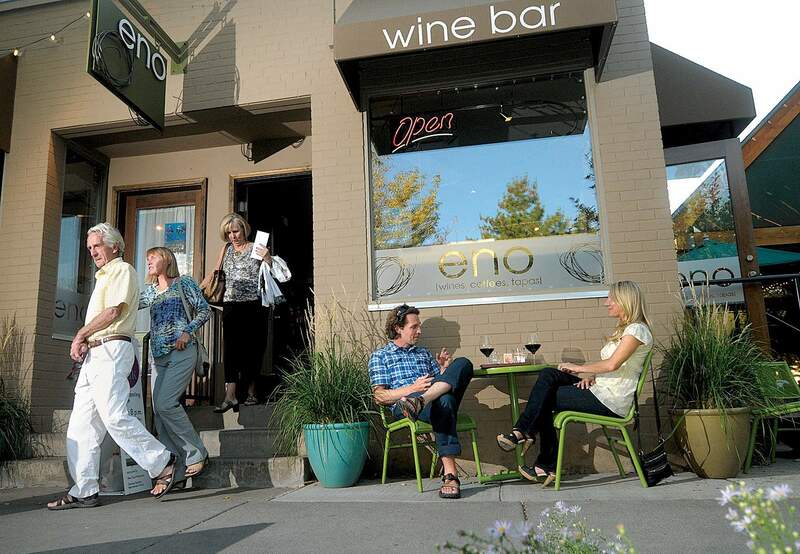 In Durango, the Ore House, Eno and Cyprus Café will donate 10 percent of their Thursday proceeds to Cooking Matters Colorado as part of the Dine Out campaign. “When you understand the problem, why wouldn’t you participate?” asks Ore House co-owner Ryan Lowe, referring to southern Colorado’s issues of food insecurity among its youth. For Alison Dance, owner of Eno and Cyprus Café, being part of the Dine Out to End Childhood Hunger effort is an easy way to use her businesses as a vehicle to help bring awareness and funds to a problem affecting youth throughout the region and state. And because it’s possible for people to easily avoid or ignore the problem, Dance said it’s particularly important to participate in the event. For more information about Durango’s involvement with the Dine Out to End Childhood Hunger campaign, visit Cooking Matters Southwest Colorado’s Facebook page at https://www.facebook.com/CookingMattersSWColorado/.